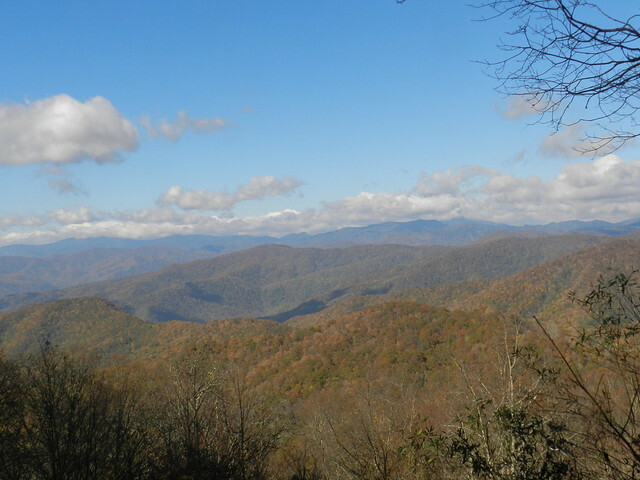 I couldn't have ordered better weather for a vacation of driving and hiking in the Great Smoky Mountains National Park. There were interesting clouds and blue skies. Lots of different types of light to color the mountains. Next we have the sky and Bill patiently waiting for me. I looked through a zillion shots rather quickly to try to pick out ones specifically for the sky. I included the next shot because I love fog and most mornings we had fog which cleared after I had my fill of fog shots. 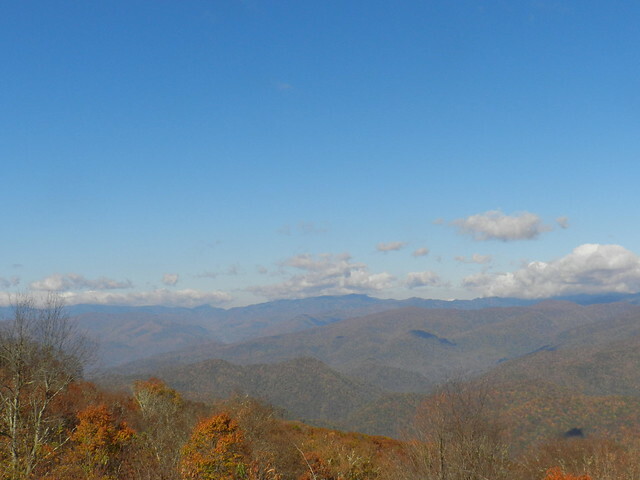 The town in the shot above is Bryson City, NC which was the closest town to where we were staying. 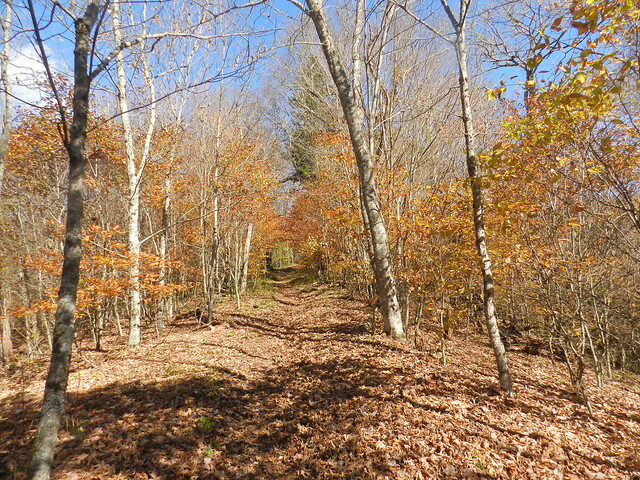 I liked the mix of fall foliage as well as evergreens. A carpet of leaves in the woods is one of my favorite things both for the sound and look. I also love contours in the mountains when clouds form their own shapes along the range. 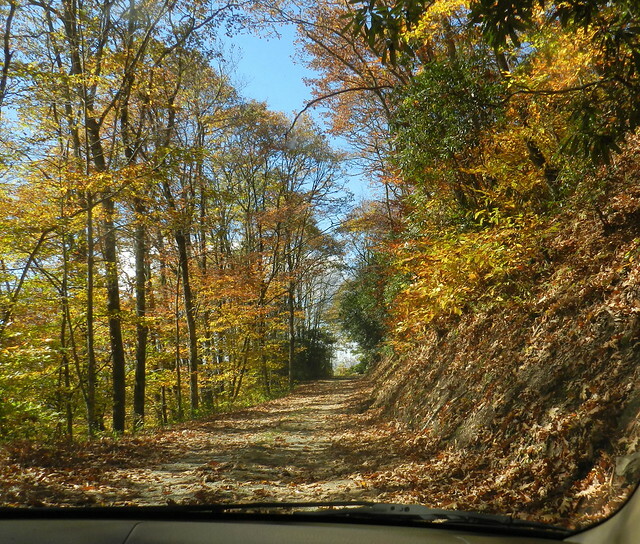 The next shot was when we drove on a back country dirt road through part of the Great Smoky Mountains National Park. 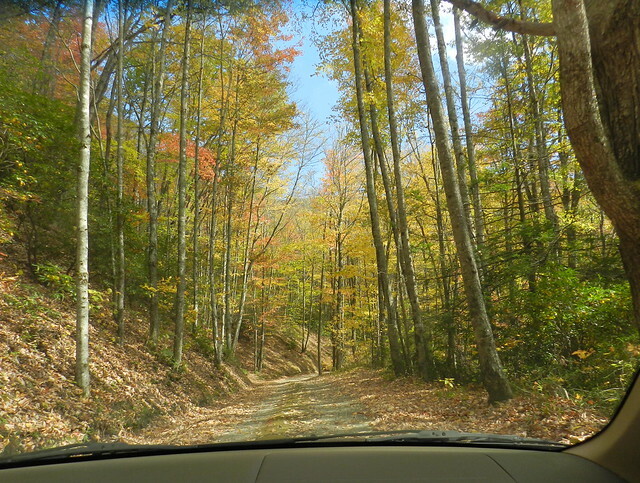 The best part about the dirt roads was that we were almost the only people using them. It was worth it even though we were bouncing up and down pretty hard part of the time. 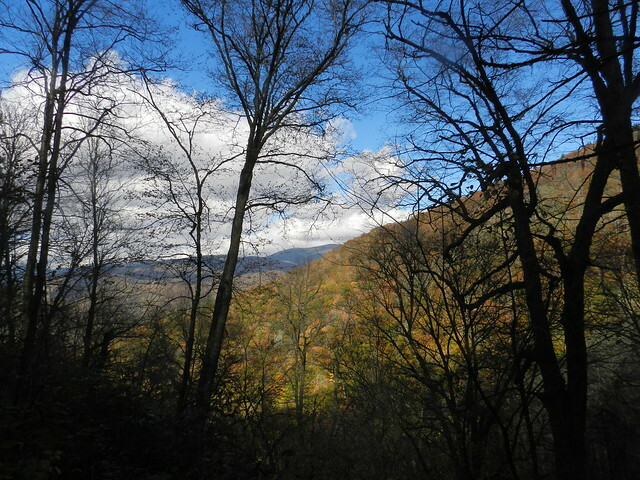 I love the mix of colors this time of the year with the higher altitudes changing and dropping their leaves. 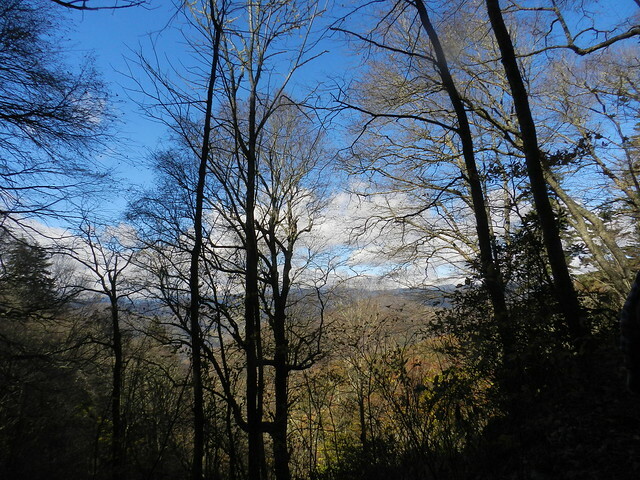 There is still a fair amount of green at the lower altitudes. 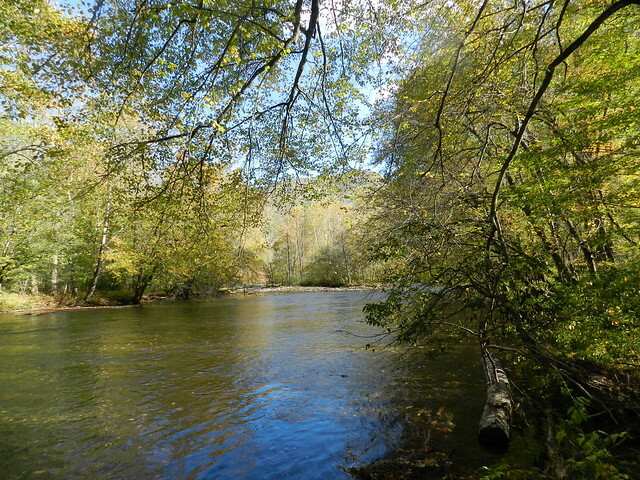 Gorgeous scenery Carver. You had great weather and I love to the foggy shot. Looks like a real pretty town. Wow those shots are gorgeous! And that place is awesome! 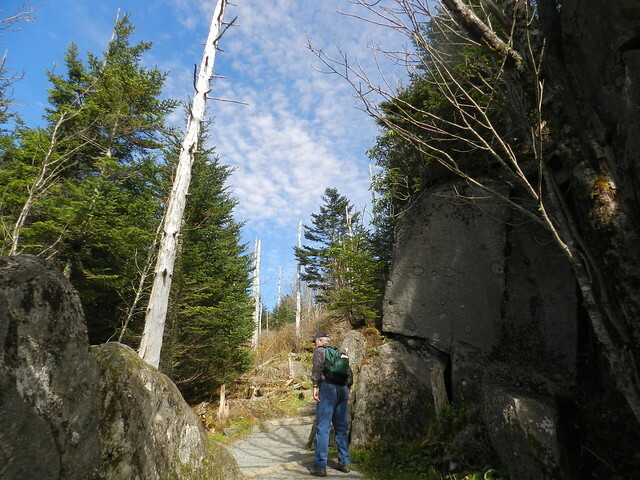 What a gorgeous place and terrific captures, Carver!! Thank you so much for sharing!! Hope you have a lovely weekend!! 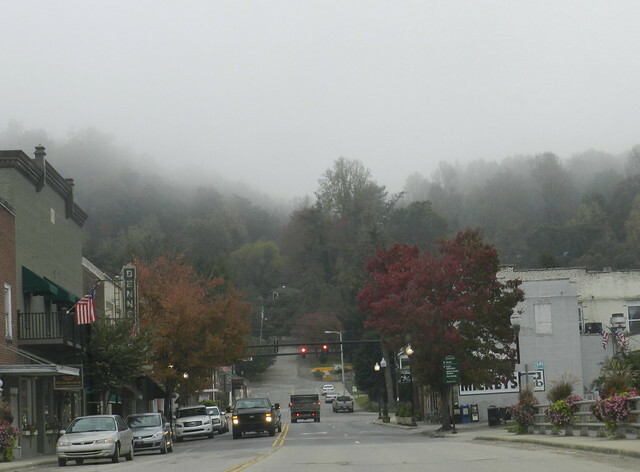 Bryson City seems to be a bit fog-bound in your photo! 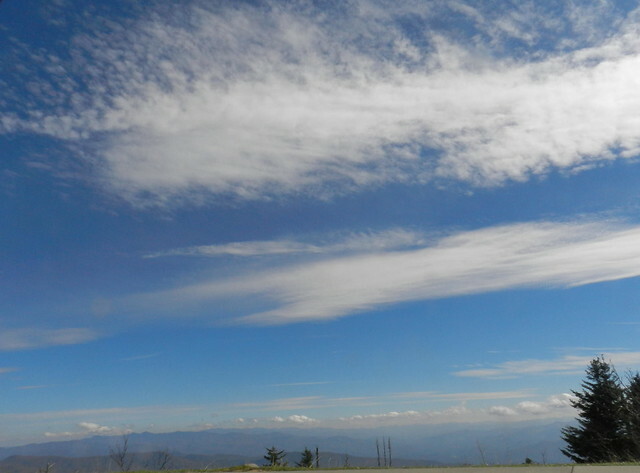 All very beautiful nature and sky shots ~ so glad you had good weather! Looks like a beautiful vacation. 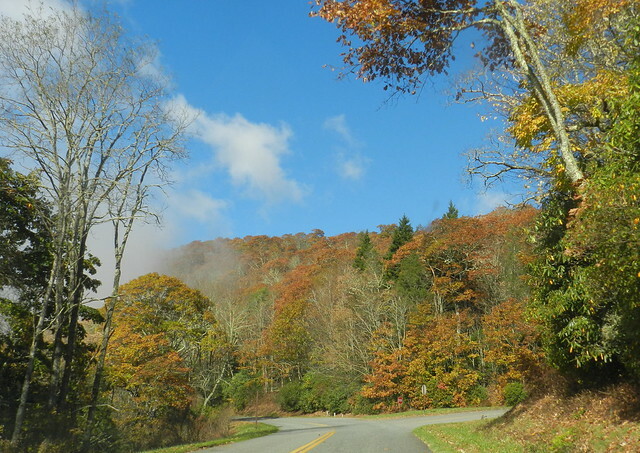 The leaves and trees are gorgeous.. Lovely mountain views.. Great photos, Carver! Enjoy your evening and the weekend ahead! 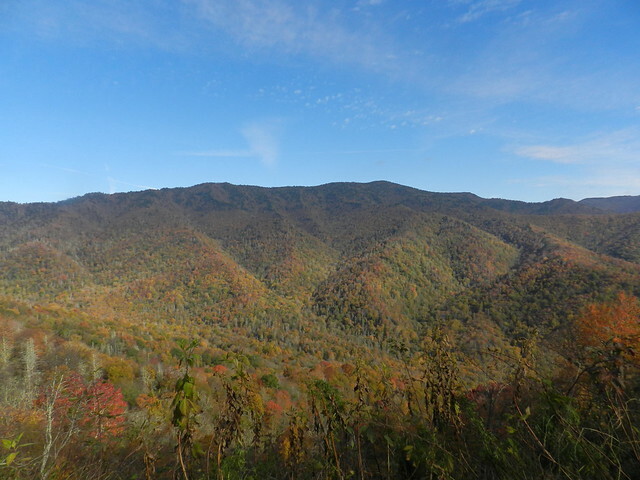 I've never been to the Great Smokies - the landscape is incredible. I love those dirt road shots. Looks like a wonderful fall trip. Beatiful shots. 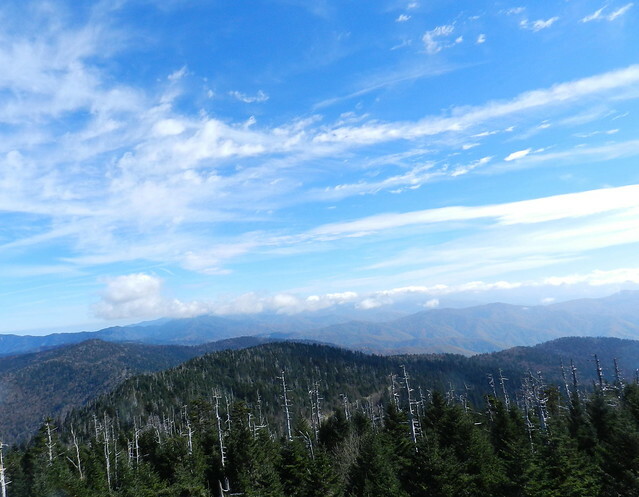 The Great Smokey Mountains National Park is on my bucket list. Oh my goodness, one tree is standing there trying to out do the tree next to it. Don't you just love fall? I do. Fall is my favorite season. I love all the mountains. 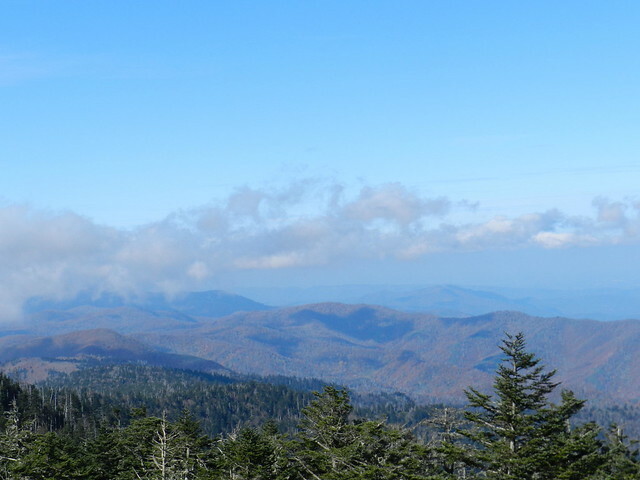 It has been awhile since I have been to the Smokey Mountains. Must do it again sometime. Glorious Carver! I am so glad you could not pick just one. I love them all. You are presenting some wonderful sky shots and beautiful autumn colours again, Carver. Thanks for sharing and enjoy your weekend. Beautiful series of images from the national park. A wonderful sky and all these colors... Gorgeous shots! great sky shots. I wouldn't might go and wander there in the trees and fog.